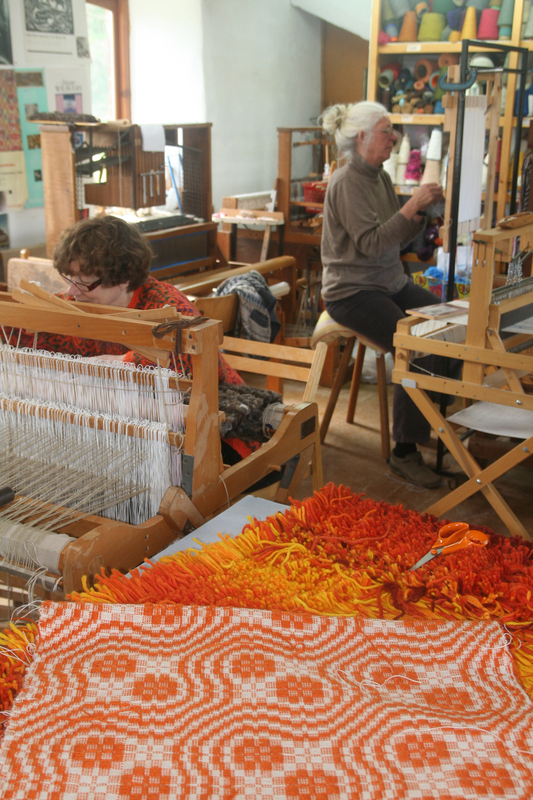 The studio has 4 & 8-shaft floor and table looms, tapestry frames, inkle and backstrap looms and tablet weaving sets. Shelves crammed with brightly coloured yarns offer students a wide and tempting palate. 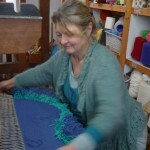 Yarns used from the studio are charged at cost. 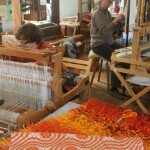 Using Martin’s quick warping method everyone is weaving on the first day. 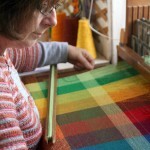 The full warping method is used for subsequent projects. 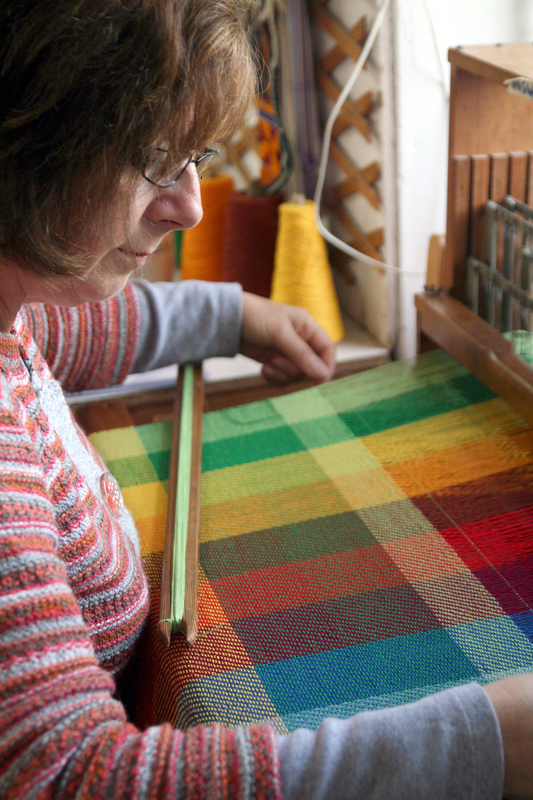 Beginners are guided through at least two warps during the week and gain the confidence to set up and carry on weaving at home. 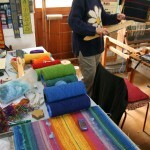 Some students may opt to learn a variety of techniques and weave many samples to explore and develop at home. Most, however, prefer to be guided through a project from the design stage to the finished piece and enjoy the satisfaction of taking home a practical item. 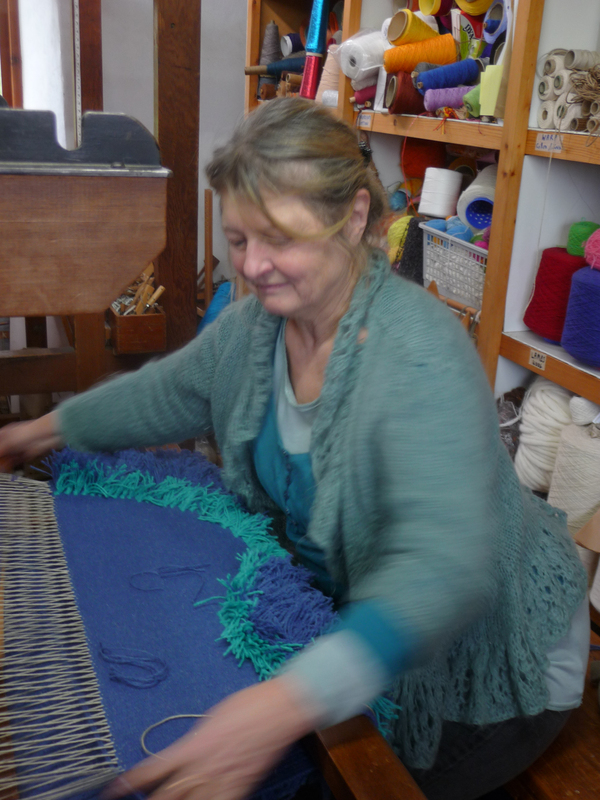 Projects include: rugs (Martin’s own specialisation), wallhangings, cushions, bags, tapestry, scarves, fabric for garments or furnishing, tablet and inkle woven bands for accessories or decorative finishes. 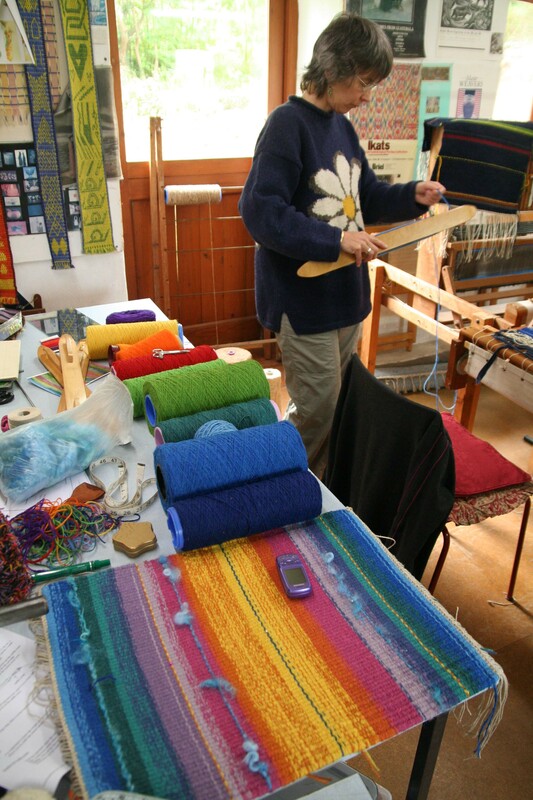 Ikat is also an area that Martin has a particular interest.